Daniel Le Grange, PhD, holds a Distinguished Professorship at the University of California, San Francisco (UCSF), where he is Benioff UCSF Professor in Children's Health in the Department of Psychiatry UCSF Weill Institute for Neurosciences, and Eating Disorders Director in the Division of Child and Adolescent Psychiatry. Dr. Le Grange also is Emeritus Professor of Psychiatry and Behavioral Neuroscience at the University of Chicago. He received his doctoral education at the Institute of Psychiatry and the Maudsley Hospital, the University of London, and completed postdoctoral training at the University of London and the Maudsley Hospital, and at Stanford University School of Medicine, California. Dr. Le Grange's research interests focuses primarily on treatment trials for adolescents with eating disorders. He has authored or co-authored more than 500 manuscripts, books, book chapters, and abstracts, and presented his work at more than 200 national and international scientific meetings. His focused scholarship has been translated into Dutch, Greek, Italian, Japanese, Polish and Portuguese. Dr. Le Grange is a Fellow of the Academy for Eating Disorders, a Member of the Eating Disorders Research Society, Past Associate Editor for BMC Psychiatry, Associate Editor for the Journal of Eating Disorders and the European Eating Disorders Review, and Editorial Board Member for the International Journal of Eating Disorders and Eating Behaviours. He has lectured extensively across North America, Europe, Australia, South East Asia, and South Africa. Over the past 15 years, Dr. Le Grange has been Principal Investigator on numerous randomized clinical trials funded by the National Institute of Mental Health (United States), the National Health and Medical Research Council (Australia), and private foundations (United States and Australia). Dr. Le Grange is the 2013 recipient of the UCSF Presidential Chair Award, the 2014 recipient of the Academy for Eating Disorders Leadership in Research Award, and the 2017 recipient of the Eating Disorder Recovery Support Hall of Fame Award for Research. James Lock MD, PhD is a child psychiatrist and Professor of Child Psychiatry and Pediatrics in the Division of Child and Adolescent Psychiatry and Child Development, Department of Psychiatry and Behavioral Sciences, Stanford University. He is the director of the Eating Disorders Program in the Division of Child Psychiatry and psychiatric director of an inpatient eating disorder program for children and adolescents at Lucile Salter Packard Children’s Hospital at Stanford. The author of over 350 scientific publications on eating disorders, Dr. Lock is a also a recipient of the 2014 Leadership in Research Award from the Academy of Eating Disorders, the Price Family Foundation Award for Research Excellence from the National Eating Disorder Association, an NIMH Early Career Development Award, and an NIMH Mid-Career Development Award. His research has been continuously supported by NIH since 1998. He lectures widely including Canada, the UK, Ireland, Italy, Germany, Austria, Denmark, Sweden, Norway, Singapore, Australia, and New Zealand. Kristen Anderson is co-founder of the Chicago Center for Evidence Based Treatment and a former therapist and Clinical Director of the University of Chicago Eating Disorders Program. She earned her bachelor of arts degree in psychology from the Honors College at University of Michigan-Ann Arbor and obtained her masters degree in social service administration from the University of Chicago. Kristen has provided family-based treatment in her clinical practice as well as her role as a study therapist on four NIMH-funded multisite trials at the University of Chicago. She has published multiple scholarly articles and book chapters on the delivery of family based treatment, and the use of telemedicine. Kristen was most recently funded by NEDA’s Feeding Hope grant to investigate the use of telemedicine in delivering Family Based Treatment. Kristen’s primary interests including family based treatment for adolescents and young adults as well as assessment and pre/post operative guidance for bariatric surgery patients. Kristen is the Managing Director and a Faculty member consultant of the Training Institute for Child and Adolescent Eating Disorders. 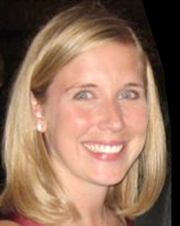 Dr. Erin Accurso is Assistant Professor at the University of California, San Francisco, where she also serves as Clinical Director of the UCSF Eating Disorders Program. Dr. Accurso obtained her B.A. from Dartmouth College and Ph.D. in Clinical Psychology from the San Diego State University / University of California, San Diego Joint Doctoral Program. She then completed a postdoctoral fellowship at the University of Chicago specializing in eating disorders treatment and clinical research. She has served as a study therapist on several NIMH-funded multisite FBT trials and provides FBT to adolescents and transition age youth at UCSF. Her research primarily focuses on the assessment and treatment of youth with eating disorders, as well effective dissemination and implementation of evidence-based practices in community-based settings. To date, she has authored and co-authored over 50 publications, advancing knowledge in the treatment of eating disorders and mental health service delivery. Colleen Alford is a Senior Social Worker and Family Therapist based at The Children's Hospital at Westmead, Sydney Australia. Colleen attained her social work degree with first class honours from the University of New South Wales and her post graduate family therapy training through The Australian Institute for Relationship Studies Colleen has worked with children, adolescents and their families since 2002. For more than seven years Colleen has specialised in family based treatment for eating disorders. Colleen has provided training to clinicians across Australia and has supervised and consulted to numerous teams as well. Colleen provided FBT for a large National Health and Research Committee randomised control trial and has been instrumental in establishing an intensive family admission program, and parent group program. Linsey Atkins, DPsych is a Senior Clinical Psychologist and Director of Hope Family Clinic an Australian based Centre that provides individual and family based treatment for adolescents and adults with eating disorders. Dr Atkins attained a Doctorate in Child, Adolescent and Family Psychology from LaTrobe University in 2002. Since this time she has specialised in the delivery of evidence based treatments for eating disorders. In 2007 Dr Atkins became Coordinator of the Family Based Treatment Eating Disorder Program at the Royal Children’s Hospital in Melbourne. She has also worked as the lead therapist on an RCT comparing PFT and FBT for AN. In 2011, Dr Atkins became Team Leader of the Butterfly Day Group Program for adolescents and adults as well as Coordinator of the outpatient eating disorders program at Monash Health. Over the past 10 years Dr Atkins has completed extensive international training in treatment of eating disorders including the Maudsley Hospital, London and other specialised adolescent services in the USA. In 2009, Dr Atkins became an accredited FBT therapist with the Institute of Training in Child and Adolescent Eating Disorders. Linsey has published several articles on adolescent eating disorders and provides clinical supervision and consultation on family based treatment in private practice. Kerri Boutelle, PhD is a Professor of Pediatrics and Psychiatry at UCSD, and the Training Director for the UCSD Eating Disorders Treatment and Research Program. Dr. Boutelle received her B.S. in Food Science, Nutrition and Psychology from Rutgers University in 1989, and completed her Ph.D. in Clinical Psychology from Illinois Institute of Technology. Dr. Boutelle completed her clinical internship training at the University of Mississippi Medical Center and her postdoctoral fellowship in epidemiology from the University of Minnesota. Dr. Boutelle directed the Services for Teenagers at Risk (eating disorder and obesity treatment program) at University of Minnesota before moving to UCSD in 2007. Dr. Boutelle was the study supervisor for a NIH funded multi-centered trial for adolescent anorexia at UCSD, practices FBT in her own clinical practice and supervises the UCSD adolescent staff on FBT. Dr. Boutelle has published extensively on child and adolescent obesity, eating disorders and eating behaviors. Dr. Boutelle's NIH research grants and interests include developing novel treatments for youth with eating disorders and who are overweight and their families. In her clinical practice, Dr. Boutelle provides individual and family-based treatment for adolescents and adults with eating disorders and who are overweight. Gina Dimitropoulos is an Assistant Professor of Social Work and cross appointed to the Departments of Psychiatry and Pediatrics at the University of Calgary, Alberta, Canada. She is also an Associate Member with the Mathison Centre for Mental Health Research & Education. Gina is an approved supervisor with the American Association of Marriage and Family Therapy. Gina is affiliated with the Calgary Eating Disorders Program where she provides clinical supervision of FBT and conducts research on FBT. With Drs. Le Grange and Lock, she has also adapted FBT for transition age youth and has completed a case series with this population. She has over 17 years working in pediatric and adult eating disorder programs in Ontario, Canada. She was a study therapist on an NIMH funded multi-site trial at the Toronto General Hospital site and the lead fidelity assessor for this study. Gina’s research focuses on the development and evaluation of family based treatments for individuals with eating disorders and other mental illnesses. Angela Celio Doyle, PhD is co-director of the Eating Disorders Center of Seattle and a Clinical Instructor of Psychology at the University of Washington. After earning her BA an MA at Stanford, Dr. Doyle received her PhD in clinical psychology from the University of California at San Diego. She spent seven years as part of the Eating Disorders Team at the University of Chicago before relocating to Seattle in 2011. Dr. Doyle has provided family-based treatment in her private clinical practice as well as her role as a study therapist on two NIMH-funded multisite trials at the University of Chicago. She has published more than 60 scholarly articles, abstracts, and book chapters on the prevention and treatment of eating disorders in youth and has presented her work at national and international conferences. Peter M. Doyle, PhD is a licensed clinical psychologist and Co-Director of the Eating Disorders Center of Seattle. He is also a Clinical Instructor of Psychology at the University of Washington. He earned his Bachelor of Science degree in psychology from the University of Illinois at Urbana-Champaign and moved to the West coast to work and study at the Center for Eating & Weight Disorders at San Diego State University, where he received his master of arts in psychology with a specialization in eating disorders. Dr. Doyle then returned to Chicago and earned his PhD in clinical psychology from the Northwestern University Feinberg School of Medicine. He completed his predoctoral internship and a two-year NIMH-funded postdoctoral Fellowship at the University of Chicago's Eating and Weight Disorders Program. 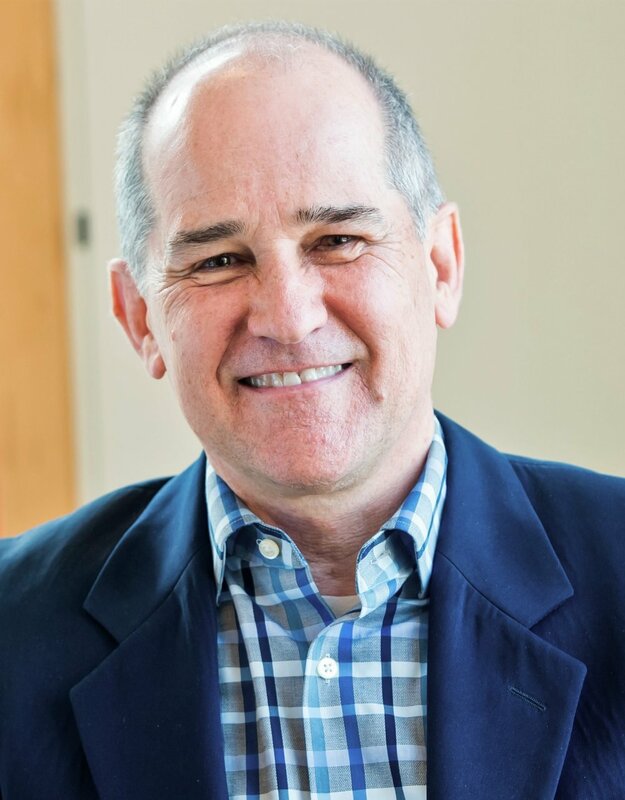 Throughout his career, Dr. Doyle has been involved in federally funded research, publishing primarily in the areas of early response to treatment and the use of technology in the assessment of eating disorders. In his clinical practice, Dr. Doyle provides individual and family-based treatment for adolescents and adults with eating disorders. Maria Ganci is a registered Clinical Mental Health Social Worker based at the Royal Children’s Hospital, Melbourne. After earning her Bachelors degree at Monash University, Maria completed her Masters in Child and Adolescent Psychoanalytic Psychotherapy and has worked with children, adolescents and their families since 1994 in both child and adult mental health services. Maria also has a Grad Dip in Family Law Mediation and has worked at the Family Court of Australia. In 2007 Maria was one of the founding clinicians of the Specialist Eating Disorders Program at the Royal Children’s Hospital and since that time has focused on providing FBT. Maria is currently a senior therapist involved in an RCT comparing FBT and PFT under the supervision of Daniel LeGrange. Maria also carries the training and supervision portfolio at the Royal Children’s Hospital providing supervision, training and service development consultation. Karen Johnston BSc Hons MRCOT, is a Senior Occupational Therapist and Family Based Treatment Specialist at The Connect Eating Disorder Service, Greater Glasgow & Clyde NHS, Scotland, UK. Karen attained her Occupational Therapy degree with 2:1 Honours from Queen Margaret University, Edinburgh UK. Karen is a systemic practitioner having completed the first two years of a post graduate family therapy & systemic practice course and is currently in the process of undertaking the masters training in Family therapy & systemic practice. Karen has specialised in working with young people with eating disorders for the last 14 years and is a certified FBT therapist and supervisor. She is trained in Multi Family Therapy and has run several multifamily therapy groups. Karen has been instrumental in the implementation of FBT in Scotland, co-ordinating an FBT clinic in Glasgow and providing clinical supervision, including individual and group supervision to clinicians across Scotland. Karen has provided FBT training and consultation to services across Scotland and has presented on FBT at a number of conferences. Kellie Lavender is a Registered Psychotherapist and Co-Director of the New Zealand Eating Disorders Clinic in Auckland, New Zealand, a private clinic offering evidence based treatments for eating disorders. Kellie has been working in the field of eating disorders for over 16 years with clients of all ages and almost all eating disorder presentations. Over the past eight years Kellie has specialized further in using FBT with adolescents and young adults and she became a certified FBT therapist in 2013. She has played a key role in the implementation of FBT as first line treatment for adolescents with anorexia at the Regional Eating Disorders Service in Auckland under the supervision of Prof. Dr. Jim Lock. Kellie provides supervision to clinicians both in the public and private setting as well as specialist training and consultation to treatment teams across New Zealand. Kellie works with individuals and families and has a special interest in working with older adolescents and young adults within the FBT framework. Katharine L. Loeb, PhD is Professor of Psychology in the PhD Program in Clinical Psychology at Fairleigh Dickinson University. Dr. Loeb received her PhD in Clinical Psychology from Rutgers University and completed a post-doctoral fellowship in Child and Adolescent Psychiatry at Columbia University, College of Physicians and Surgeons. She was the founding Director of the Mount Sinai School of Medicine’s Eating and Weight Disorders Program and former Co-Chair of the Child and Adolescent Special Interest Group of the Academy for Eating Disorders. 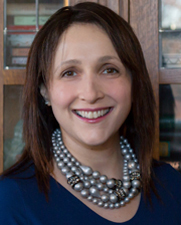 She has been inducted as a Fellow in the Academy for Eating Disorders and is a recipient of the Fairleigh Dickinson University Distinguished Faculty Award for Research and Scholarship. Dr. Loeb has published extensively in the field of eating disorders. Her research involves improving case identification of and parenting capacities in managing child and adolescent eating disorders, and systems-level strategies, including applied behavioral economics, for pediatric overweight and obesity. Karen McMahon, is a registered mental health nurse and Lecturer in Mental Health. She has worked clinically with young people with eating disorders for 27 years and is a certified FBT therapist and supervisor. Karen holds a postgraduate diploma in therapeutic skills with children and young people and a post graduate certificate in teaching and learning in higher education and is a fellow of the Higher Education Academy. She has undertaken specialist eating disorder training in ED assessment, Multi Family Therapy and Compassion Focused Therapy. Karen has been central to the implementation of FBT in Scotland and led on the provision of FBT supervision for individuals and groups. She has provided FBT training in both Scotland and Ireland and has presented on FBT at a number of international conferences. Current research interests are the contribution that fathers make to Family Based Treatment. Renee Rienecke, PhD is an Associate Professor in the Departments of Pediatrics and Psychiatry at the Medical University of South Carolina, and Director of the MUSC Friedman Center for Eating Disorders. After earning her Bachelor’s degree at the University of Michigan, Dr. Rienecke received her PhD from Northwestern University and completed her clinical psychology internship and postdoctoral fellowship at the University of Chicago. She was part of the Eating Disorders Program at the University of Chicago for ten years before returning to the University of Michigan to build the U-M Comprehensive Eating Disorders Program. Her research interests include the role of expressed emotion in treatment outcome for adolescent anorexia nervosa and bulimia nervosa. She is the past recipient of a NIMH Diversity Supplement and the National Eating Disorder Association’s Young Investigator Grant to fund her research on expressed emotion. 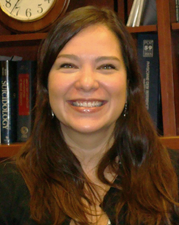 Her clinical work involves providing empirically-supported treatments to adolescents and adults with disordered eating. Andrew Wallis is a Clinical Specialist Social Worker and Family Therapist. Since 1993, Andrew has worked with adolescents and their families. For more than 10 years, Andrew has focused on family therapy for adolescents with complex illness presentations and eating disorders. He is currently a Clinical Specialist and Deputy Head in the Department of Adolescent Medicine and the Team Leader of the Eating Disorder Family Based Treatment Team at The Children’s Hospital, Westmead and Honorary Associate in the School of Psychology, University of Sydney. Since 2003 Andrew has been utilising family based treatment and been central in establishing this evidence based treatment approach in the Eating Disorder Service. As well as providing training to numerous clinicians around Australia and New Zealand to implement this model, he has supervised and consulted to a number of teams implementing the model service wide. 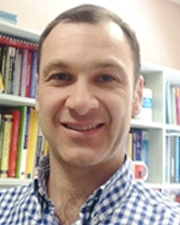 He is currently working on a PhD investigating relationship change for families during Family Based Treatment and is involved in a number of research projects including being the clinical supervisor on a National Health and Medical Research Committee Grant (NHMRC). Andrew has published a number of articles or book chapters on family therapy and family based treatment including his first book with a colleague –P.Rhodes & A. Wallis (2011) A Practical Guide to Family Therapy: Structured Guidelines and Key Skills. IP Communications: Melbourne, Australia. Andrew is a on the executive of the Australia and New Zealand Academy of Eating Disorders (ANZAED) the peak professional body for eating disorder clinicians in Australasia and is on the professional advisory board of Family Empowerment and Support for Treating Eating Disorders (FEAST). Blake Woodside MD - Dr. Woodside’s specialty in psychiatry is the treatment of eating disorders in adults, and family therapy of adolescent anorexia nervosa. He is currently Medical Director, Program for Eating Disorders at the Toronto General Hospital, Director of the Inpatient Eating Disorders Service, and Professor in the Department of Psychiatry at the University of Toronto. He is a clinical member and approved supervisor for the American Association of Marriage and Family Therapy, and a certified therapist and supervisor for the Behavioural Family Therapy Institute. Dr. Woodside has an active academic career with a long history of grant support from many agencies and private foundations. His research activity presently focuses on novel treatments in eating disorders, including Deep Brain Stimulation, Repetitive Transcranial Magnetic Stimulation, and Family-Based Therapy. He has many other research interests including family issues, genetics, treatment outcome, human resource/economic issues and males with eating disorders. He has also been recognized locally and by the American Psychiatric Association for his contributions to undergraduate medical education. Dr. Woodside has a long history of involvement in organized medicine, going back to his medical school days in the 1980s. He has served in various capacities for the Ontario Medical Association, the Canadian Medical Association, the Ontario Psychiatric Association and the Canadian Psychiatric Association, for which he served as President in 2002-2003,and Chairman of the Board from 2003-2009. Dr. Woodside earned his medical degree from Queen’s University in 1982, his psychiatry degree from the University of Western Ontario in 1986, and his Masters of Science in 1990 from the Institute of Medical Science, University of Toronto. Dr. Woodside lives with his wife and three surviving children in Toronto. Kara Fitzpatrick, PhD is an Instructor of Psychiatry at Stanford University/LPCH and the Coordinator of the outpatient Eating Disorder Clinic in the Department of Psychiatry and Behavioral Sciences at Stanford Medical Center. Her research focuses on clinically applied treatments for eating disorders in children and adolescents. She has been a therapist on clinical trials evaluating treatments for Anorexia Nervosa. She specializes in neuropsychological assessment of eating disorders and evaluation of treatments for children and adolescents. Her current research interests focus on the development of Cognitive Remediation Therapy (CRT), which utilizes neuropsychological components to address cognitive and behavioral difficulties associated with eating disorders. In addition to working as a therapist on research treatment studies, she also provides supervision to therapists on different treatment modalities.